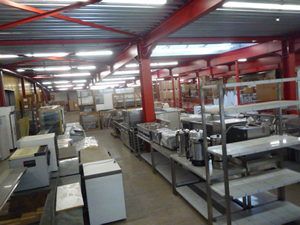 A1 quality second-hand articles sold by Patima Electrocenter S.à.r.l. Under the new category "Second-hand" on our e-commerce site, you will find A1 quality second-hand articles, not older than 3 years and with all required system- and security norms. Under "Wellcome" you have the total of all second-hand articles and when you choose one of the 4 categories, you only have the second-articles of thîs category. We only propose articles we have on stock, controlled and tested from our technicians. 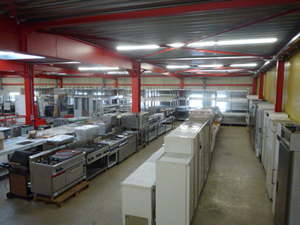 All second-hand articles sold by Patima Electrocenter S.à.r.l. have a guarantee of 6 months. Under the new category "Second-hand" on our e-commerce site you will find liquidation and demo-articles. Under "Wellcome" you have the total from all categories, and when you choose one of the four categories, you have the liquidations from this category. All this appliances sold by A. Thilman & Fils are new articles and benefit from the same guarantee than the other articles we sell.